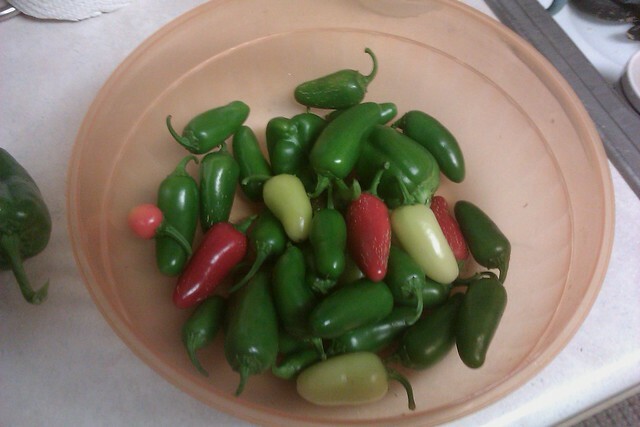 I picked about 40 jalapenos this weekend. I also ran into a little problem. The other day I had picked a few bell peppers and went to put them into a salad, only thing, they turned out to be hot pepper and not bell peppers. You see there was a little mixup with the pepper seedlings. I had labeled them, only the marker sort of disappeared in the sun so I wasn't sure what some of them were. I planted I think 3 bell peppers, 2 jalapenos and 1 shishito pepper (I kind of remember planting 2 shishito, but maybe one died or who knows. I'm too lazy to look in my old posts right now) Obviously I know which are jalapeno, those are easy. The bell and shishitos though? They're kind of looking the same. See the big pepper on the right? You'd look at it and say bell pepper right? I've been so excited about this big bell pepper until the day I almost put the hot peppers in the salad. You see, those hot peppers came off the same plant as the big one. These are bell peppers. I think they look like poblanos almost, minus the dark green color. 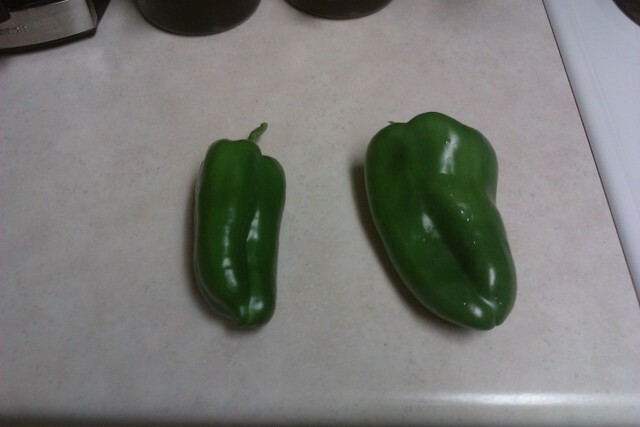 They're what I thought the shisito peppers would look like. I only figured out which was which by cutting into 2 of the peppers. The shishito are a little deceiving because they taste like a bell pepper on the ends, but near the top where the seeds are they're hot. I've figured out what 3 of the 4 pepper plants are. They 4th doesn't have anything growing on it currently so we'll what it turns out to be eventually. I probably won't give away any peppers though. I'd hate to get them mixed up somehow and give something a hot pepper when they expected a bell. Yikes! I would not be happy about that. 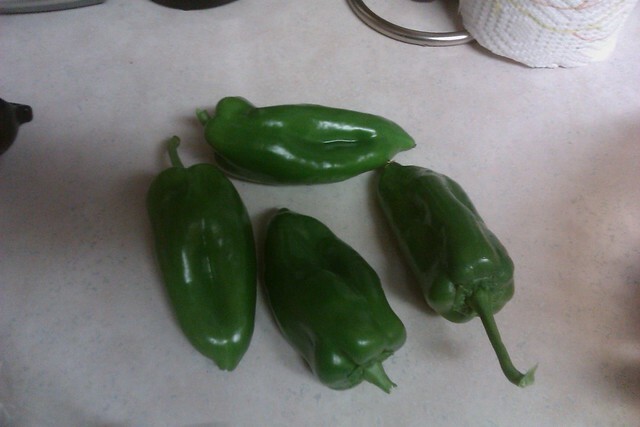 We finally pulled out the jalapenos from the garden and are done for the year. That's an amazing harvest and unpleasant surprise!